Being a vegetarian can be a little bit awkward on a holiday often referred to as Turkey Day. Judging by all the “What do you eat on Thanksgiving? !” questions I get, a lot of people seem to think it’s impossible to celebrate the holiday without a plateful of turkey. (Really, it is possible!) 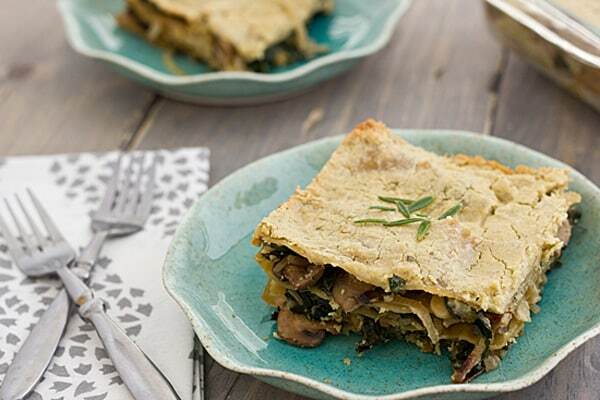 These vegetarian entrees for thanksgiving prove just that. Last year, I had a lot of people visiting my blog in the days leading up to Thanksgiving in search of advice on how to cook for their vegetarian guests. So I thought I’d make myself useful and put together a post with some vegetarian entrees for thanksgiving. If you’re cooking for a vegetarian this Thanksgiving, here are some helpful tips. 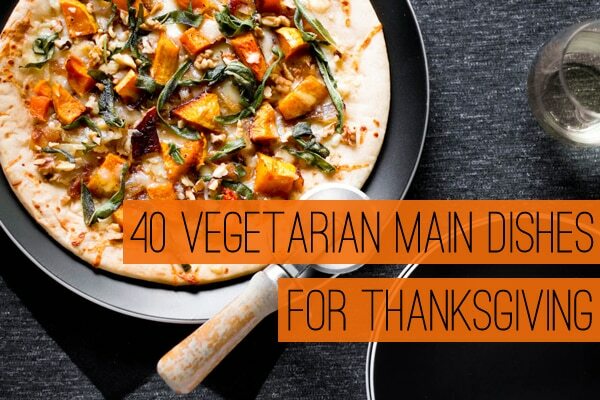 Here are some vegan Thanksgiving ideas too. Most vegetarians are happy just eating sides on Thanksgiving. But make sure they’re vegetarian! Stuffing cooked in a turkey or gravy made with drippings don’t count. I know people who consider themselves vegetarians and eat poultry and fish. Others don’t eat meat, but will eat broth, gelatin, shortening, etc. Because so many people define vegetarianism in so many different ways, the best thing you can do is be clear on what your guest can and cannot eat before you make any meal plans. This is probably the easiest solution! 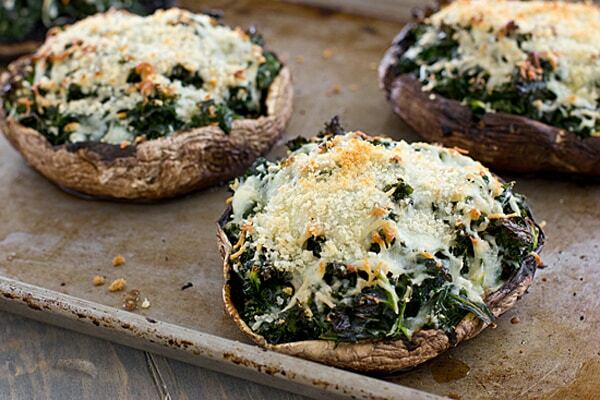 These vegetarian entrees for thanksgiving will make that much easier. While there are a few vegetarian faux turkey options out there, I much prefer a homemade main dish made with real ingredients. If my Savory Pumpkin Galette and Quinoa-Stuffed Acorn Squash Rings aren’t your thing, here are 40 more vegetarian main dishes for Thanksgiving. For more meatless Thanksgiving ideas, click on the Thanksgiving link in my sidebar and visit my Thanksgiving pinboard on Pinterest. A Vegetarian Thanksgiving Menu What I Ate This Week | Baked Pumpkin Mac & Cheese! Thanks for linking up my Pumpkin & Cheesy Baked Potato Casserole! This is a fabulous roundup and I hope you have a great holiday! You’re welcome–I hope you have a great Thanksgiving too! Yum! 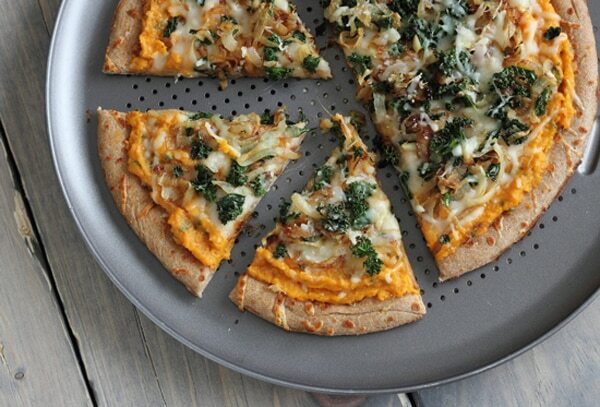 Even though our Thanksgiving has passed, this is a great roundup of meals to try anytime! Thanks for including my mac and cheese in your list! WOW what a great round up. 40! I’m impressed. sending to my mom right now…she’s vegan! I need to tell my SIL about your site. 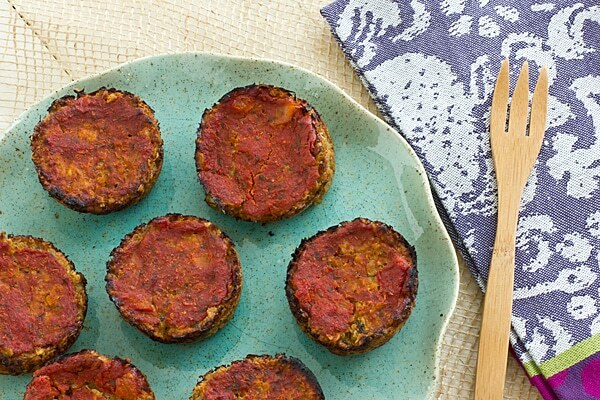 She’s a vegetarian and would love these recipes! All of these look and sound so good. Thank you for sharing them with us. I’m not a vegetarian but these look like pretty fabulous ways to celebrate even without the meat. Sometimes the meat is overrated anyway. I’m not a huge fan of turkey to begin with. Yeah, I never cared for turkey much either even when I did eat meat. The sides are so much better! Those all sound so yummy! 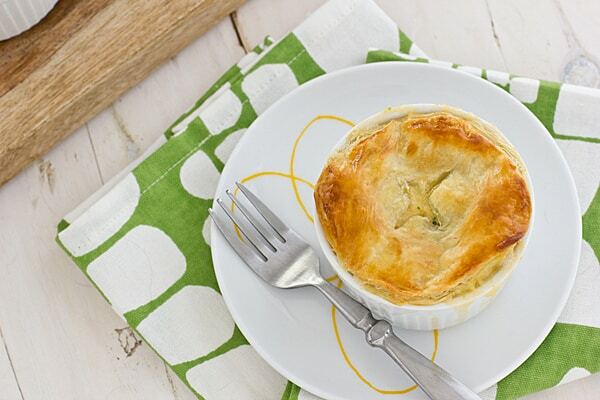 I fill up on sides usually anyway on Thanksgiving & don’t really eat more than a couple of bites of turkey so I could totally make it through the day without meat- especially with yummy recipes like these! A belated thank you for including my baked pumpkin rigatoni! Yay! This is such a great selection of main dishes. I’m inspired by the loaf section. I tend to veer away from loaf recipes and I’m not even sure why. I think I need to give one of those recipes a try. Loafs need love too, right?! I hope you had a fabulous Thanksgiving and I can’t wait to see what you have up your sleeve for December.